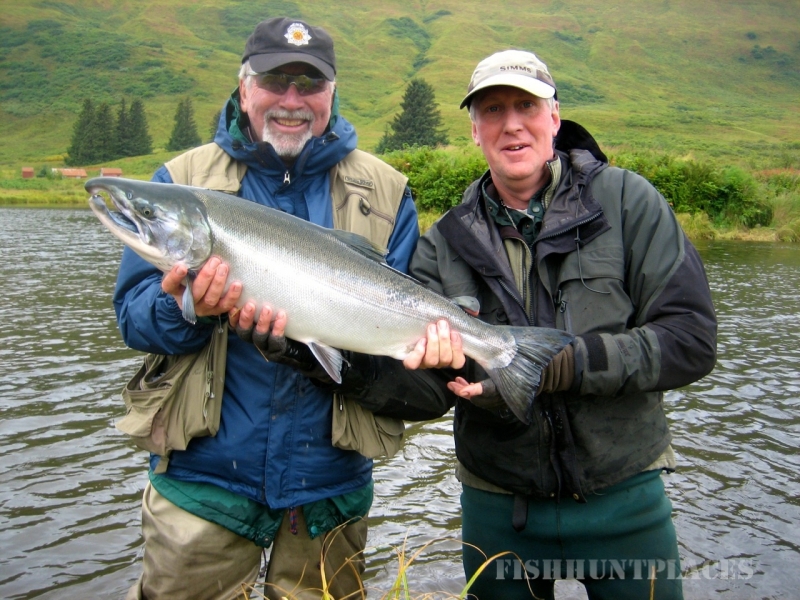 Welcome to Olga Creek Lodge, where we offer some of Kodiak, Alaska's finest Sports Fishing, Wildlife Viewing and Sightseeing. Located on remote Olga Bay (southwest Kodiak Island), our lodge is adjacent to both fresh and salt waters, and is within the Kodiak National Wildlife Refuge. 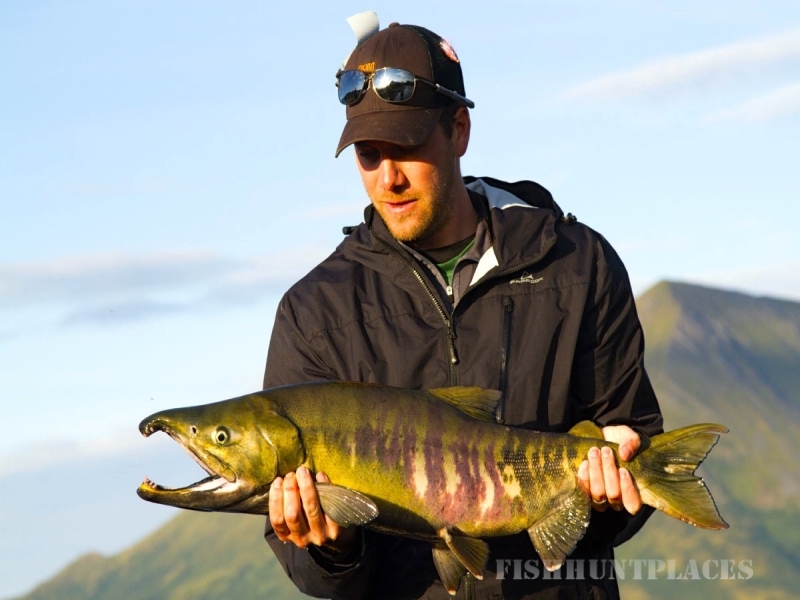 Fish for salmon, trout, halibut and more! See Kodiak Brown Bears, otters, fox, deer and eagles. Experience the beauty of Remote Alaska! Olga Bay is host to multiple river systems that are home to all pacific salmon species. Salmon return to their native streams starting in June and continue into September. 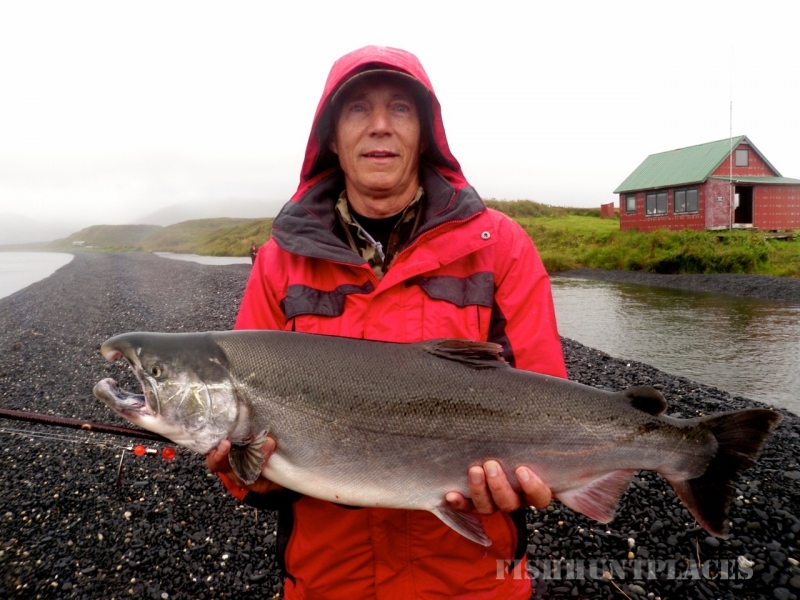 Each river system located in Olga Bay holds its own unique salmon season with different species and return dates. Halibut, Rainbow Trout, Steel Head, Pacific Cod and more are also available. Fishing in Olga Bay is world class. Olga Creek Lodge is located on private property at the mouth of Olga Creek. We own and control both sides of the creek. This keeps “combat fishing” to minimum. Other creek and river systems are available for our use as well. If there are few fish, our U.S. Coast Guard licensed captains will always be available with our boats to ensure you are at the best fishing hot spot. 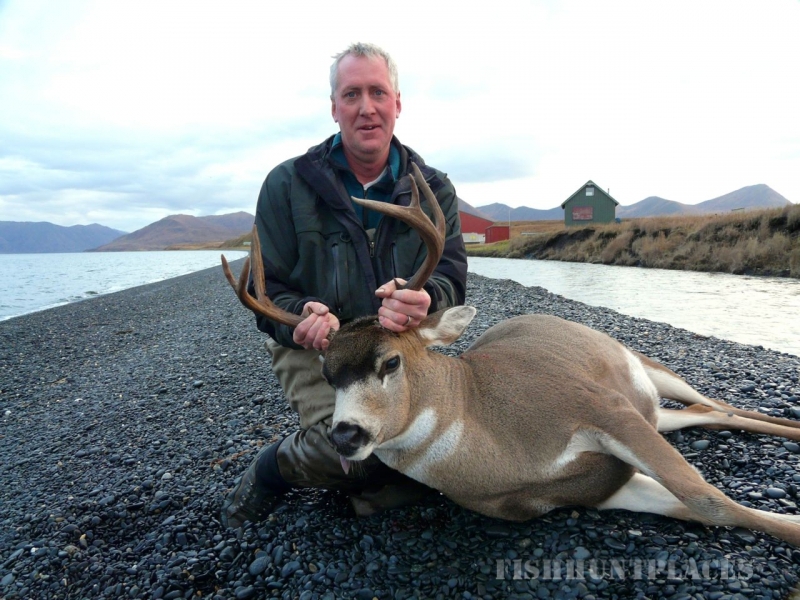 Kodiak Island has a healthy game population and with its natural wilderness habitat, hunting in Olga Bay is a great all-around experience. The beautiful Sitka Blacktail Deer and the lively ptarmigan that we have available to hunt in our area make for a fun adventure. 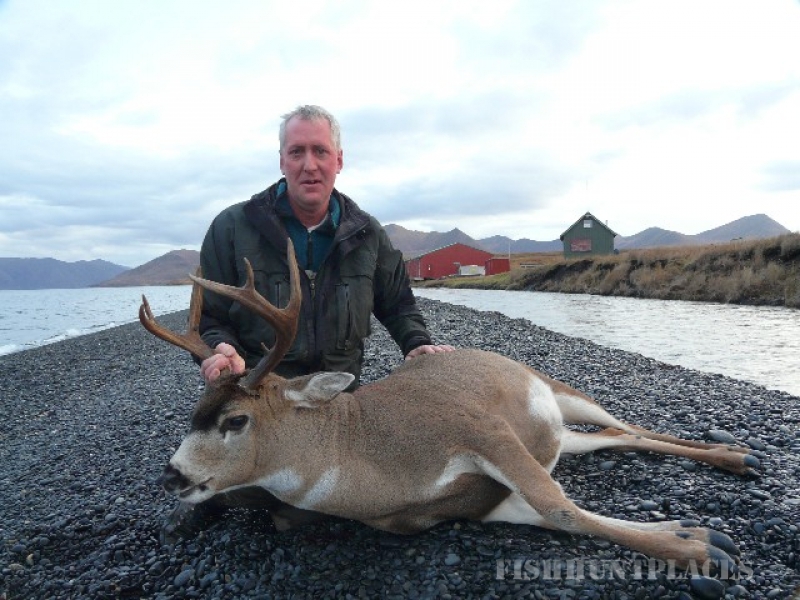 Depending on the year and the depth of the snow, the deer can be hunted very close to the beach and lodge, but just as likely it can be a very physical hunt with lots of hiking. These animals are concentrated in pockets throughout the terrain and the region. 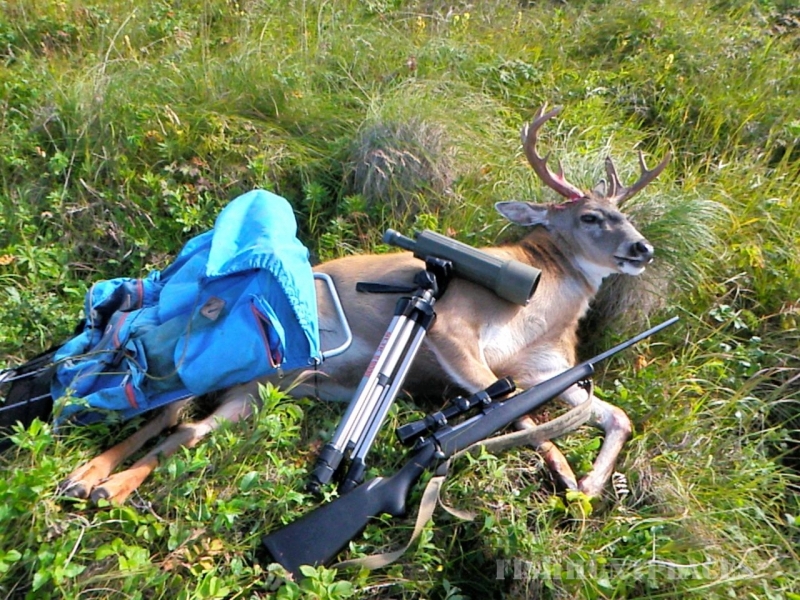 Our hunting experience and first hand knowledge of these animals and their habitat will help us to transport guests to desired hunting locations and pack up your game upon return from your hunting excursion.